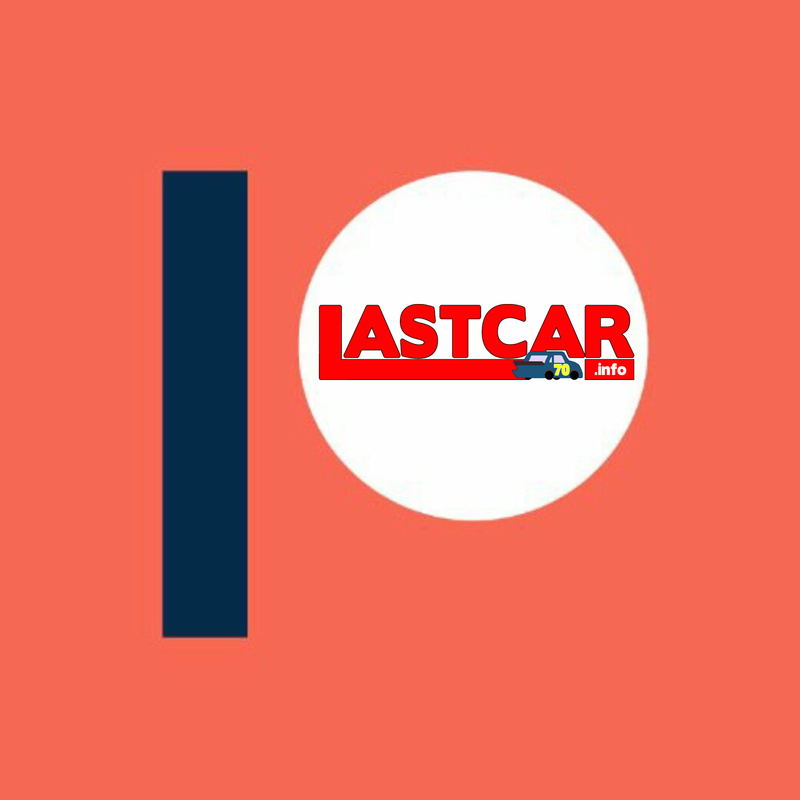 Welcome back, everyone, to LASTCAR! In order to make this site as complete as possible, I have compiled several mini-reviews of the races run since my last update at the end of May. 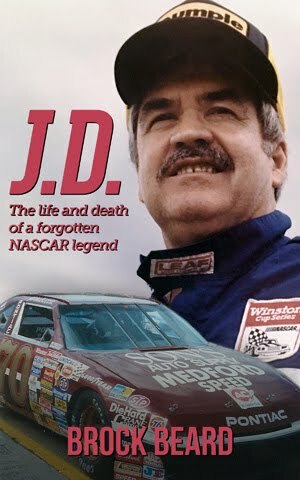 Since this website was last updated, there has been a streak of eight different last-place finishers in the last eight Cup Series races. The streak started in June during the FedEx 400 Benefitting Autism Speaks at the Dover International Speedway. There, a multi-car pileup on Lap 9 damaged at least twelve cars, including the #79 Team Kyle / Koma Unwind Ford of Scott Speed. Speed, making his second start for the Go Green Racing team, suffered extensive damage to the nose of his Ford and was unable to continue. 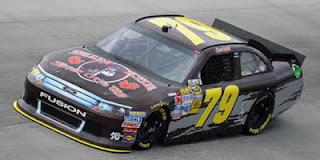 This marked the first time the #79 finished last in a Cup race since September 9, 1979, when Frank Warren’s Native Tan Dodge had a distributor problem after two laps of the Capital City 400 at Richmond. The finish also tied Speed with Josh Wise for the 2012 LASTCAR lead. 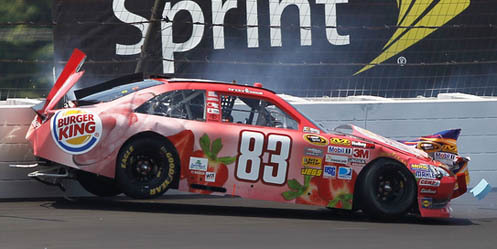 Next, during the Pocono 400 presented by #NASCAR at the Pocono Raceway, an opening-lap crash in turn three took out Landon Cassill’s #83 Burger King Real Fruit Smoothies Toyota. The resulting last-place finish was the first for the BK Racing team, the first for Cassill since the 2011 Kobalt Tools 400 at Las Vegas, and the first for the #83 since 2007, when Brian Vickers finished 35 laps down in the Sylvania 300 at New Hampshire. At the Quicken Loans 400 at the Michigan International Speedway, it was 2011 Daytona 500 Champion Trevor Bayne picking up his first Sprint Cup last-place finish. Bayne qualified 7th - the best qualifying run for a last-placer this season - but his #21 Motorcraft / Quick Lane Tire & Auto Center Ford lost the engine after just seven laps. The finish came in Bayne’s 24th series start. 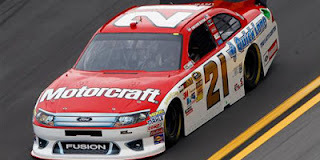 It was the first last-place finish for the iconic #21 since 2008 when, also at Michigan, Marcos Ambrose scored his first last-place finish when another engine failure stopped his Little Debbie Ford after 17 laps. After that came my home race, the Toyota / Save Mart 350 at the road course in Sonoma. 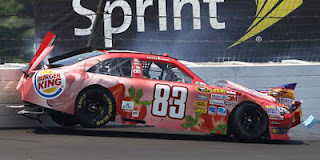 There, last place went to Joe Nemechek and his "Ferrari Red" #87 AM / FM Energy Toyota - the 29th finish of Nemechek’s career. The car had a high engine pitch throughout the weekend and, in the end, it was engine failure that took him out after completing just one lap. 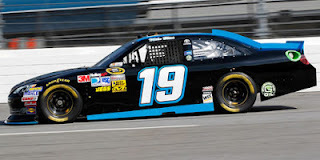 The finish was Nemechek’s first of the 2012 season for the two-time LASTCAR Cup champion, barely edging the #19 Humphrey-Smith Toyota driven by road ringer Chris Cook. The race also saw both Josh Wise and Scott Speed finish under power for the first time in 2012, and J.J. Yeley’s #49 was running at the finish for the first time since Kansas in April. Next week came the Quaker State 400 at the Kentucky Speedway. 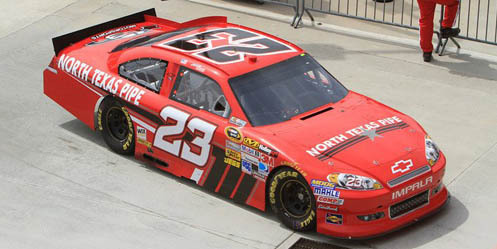 There, the 43rd spot went to Scott Riggs and the #23 North Texas Pipe Chevrolet. 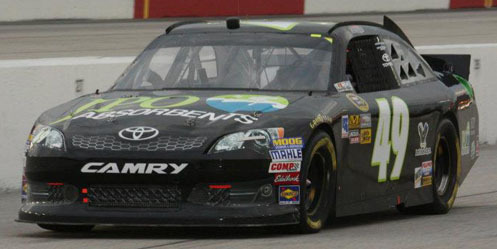 Electrical woes were the cited problem for the R3 Motorsports team after three laps of the race, and Riggs ended up with his 5th last-place finish. Riggs also swept the weekend, picking up a last-place run in the Camping World Truck Series race the night before. The Coke Zero 400 at the Daytona International Speedway saw a last-minute driver change at Phil Parsons Racing. Although Mike Bliss had practiced and qualified the #98 Phil Parsons Racing Ford, it was Michael McDowell who was behind the wheel of the car when the green flag dropped. Three laps into the race, McDowell pulled behind the wall with overheating problems, scoring his 17th last-place finish. 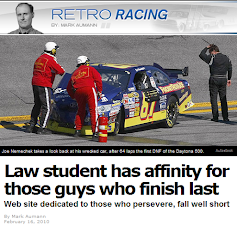 It was the first time the #98 finished last in a Cup points race at Daytona. Two weeks ago at New Hampshire was the Lenox Industrial Tools 301, where J.J. Yeley and his #49 Robinson-Blakeney Racing Toyota picked up their first last-place finish since Las Vegas back in March. The team cited engine problems as the cause after completing 4 laps. It was the first last-place run for the #49 at the one-mile track. After this, Yeley’s 10th last-place finish in Cup, the Phoenix driver left the team to drive for Larry Gunselman’s MaxQ Motorsports, now in a technical alliance with Tommy Baldwin Racing. Finally, Sunday was Crown Royal’s presentation of the Curtiss Shaver 400 at the Indianapolis Motor Speedway. Again, Mike Bliss and Michael McDowell were the center of the last-place battle. This time, McDowell edged Bliss for a spot in the field, only to be bumped out of the show for a technical infraction in qualifying. This put Bliss’ #19 Humphrey-Smith Toyota into the 43rd and final starting spot. Five laps into the race, Bliss went behind the wall with engine woes, giving the team its first-ever last-place finish in its tenth start. 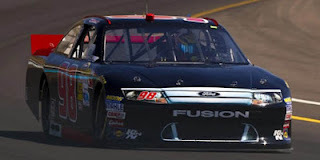 It was also Bliss’ first last-place finish since the 2010 season finale, the Ford 400 at Homestead, when he was driving the #66 PRISM Motorsports Toyota. 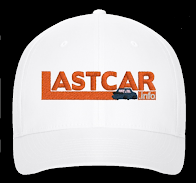 As of this week, there remains a tie for the lead in the LASTCAR Cup Series Driver’s Championship between Michael McDowell, Scott Speed, and Josh Wise. Based on the tiebreaker of Bottom Five finishes, Wise holds the lead with 11 to McDowell’s 9 and Speed’s 5.